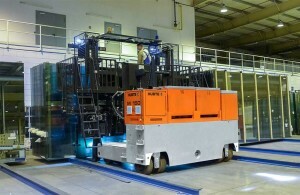 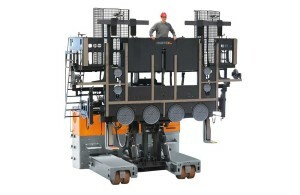 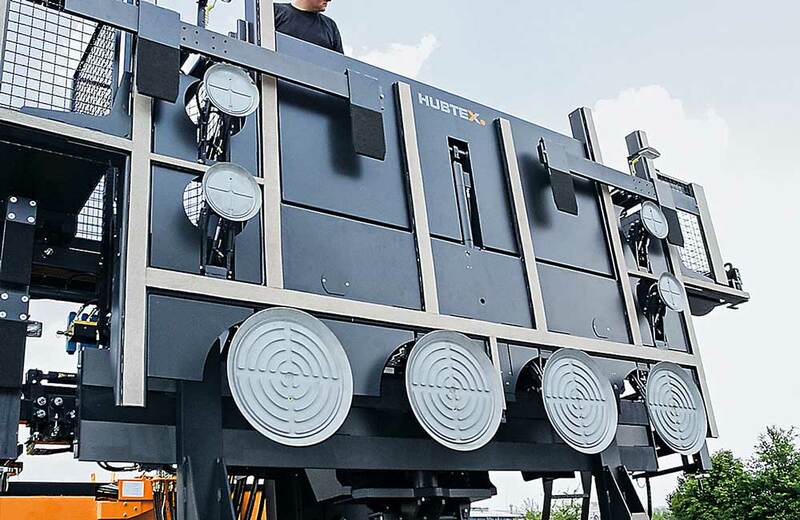 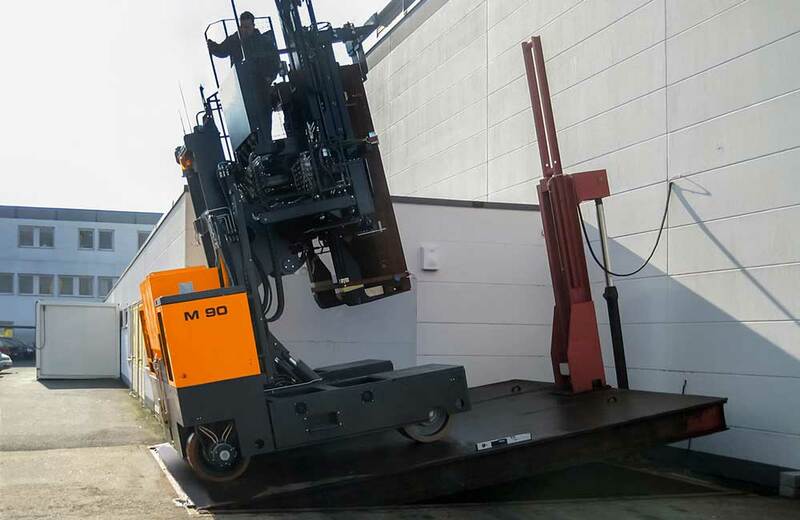 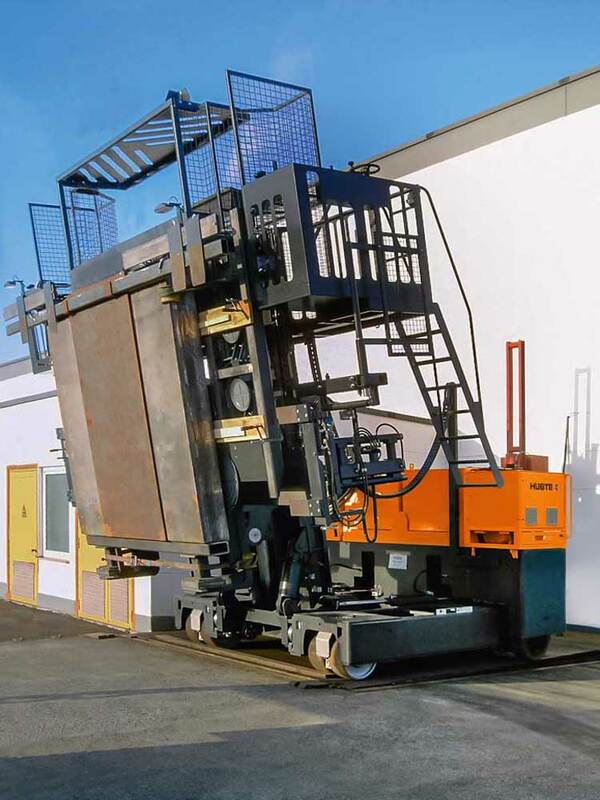 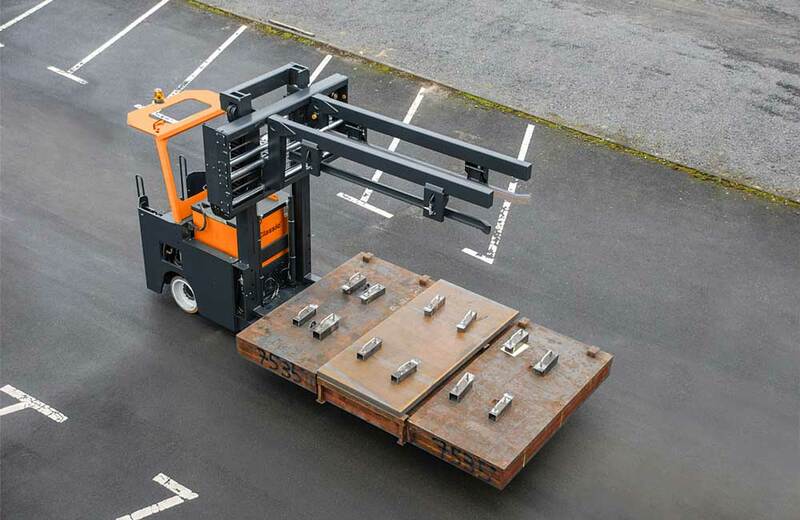 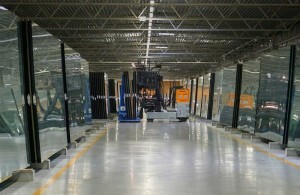 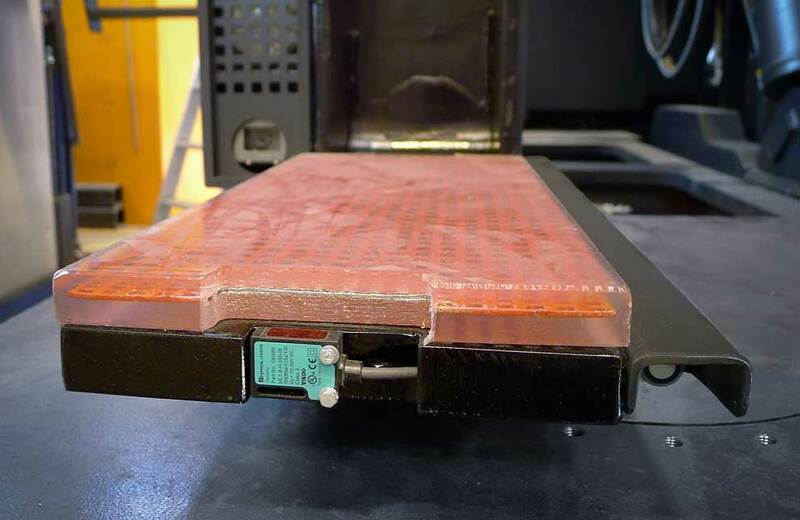 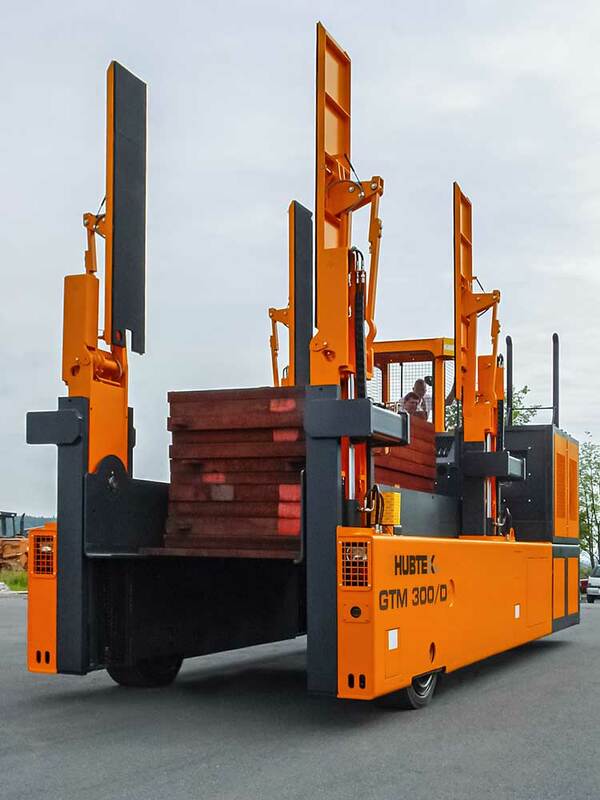 The HUBTEX Multidirectional Sideloader, M 150, can handle single sheets up to 1 ton and glass packs up to 20 tons. 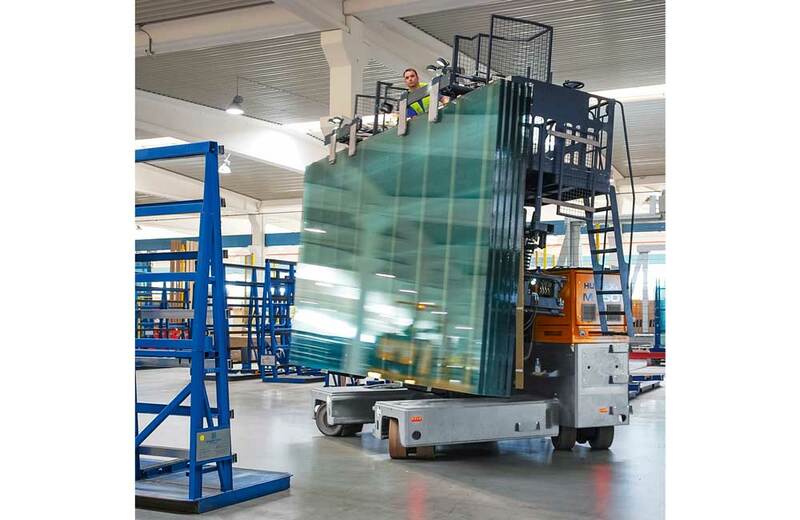 This truck is used to handle jumbo size glass. 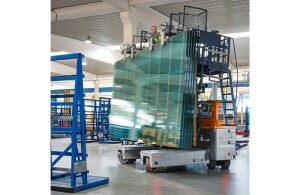 Furthermore, glass handling attachments can be adjusted to various glass pack dimensions. 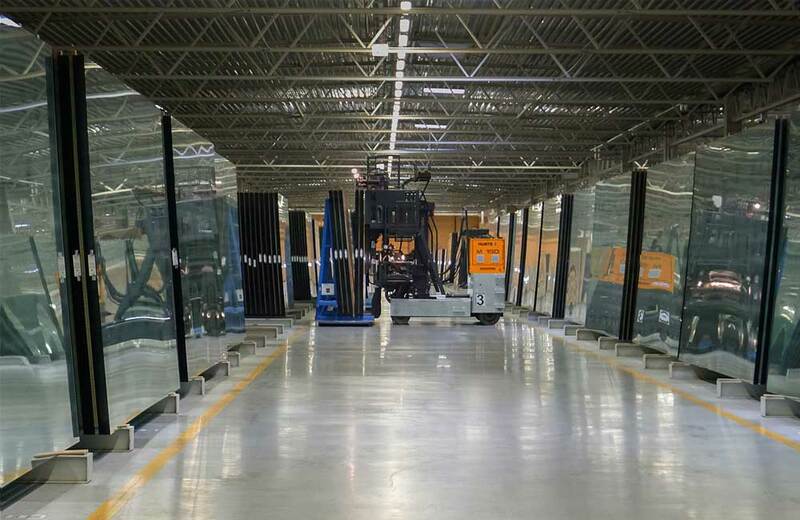 The M-series stores glass packs on floor bearers, which increases the storage density and optimizes the warehouse capacity. 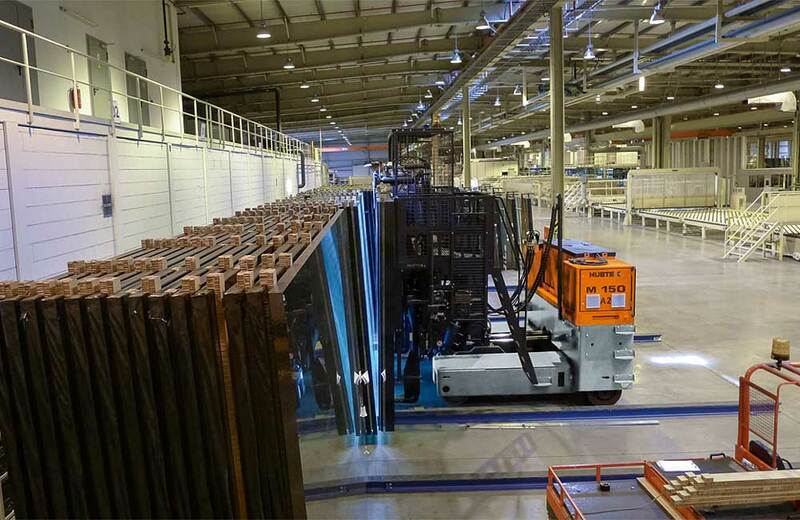 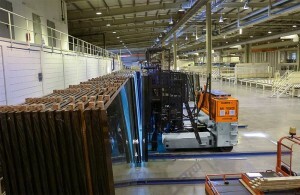 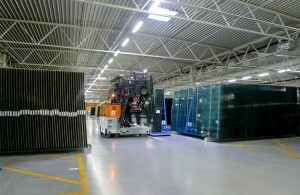 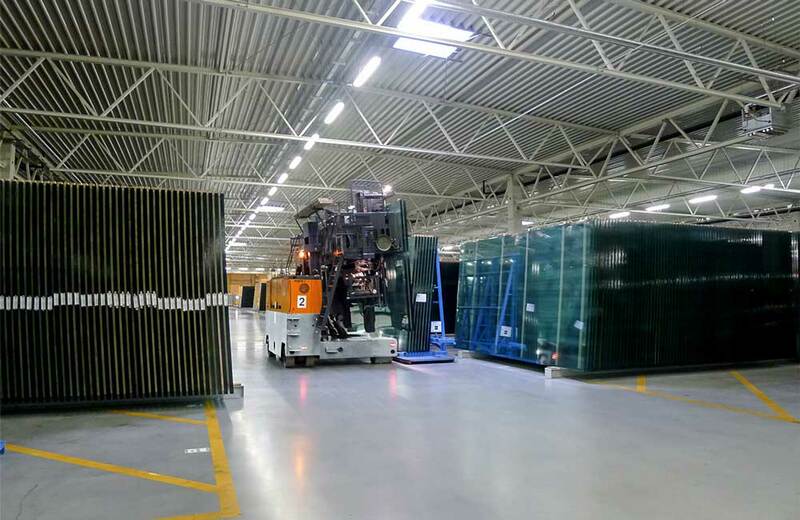 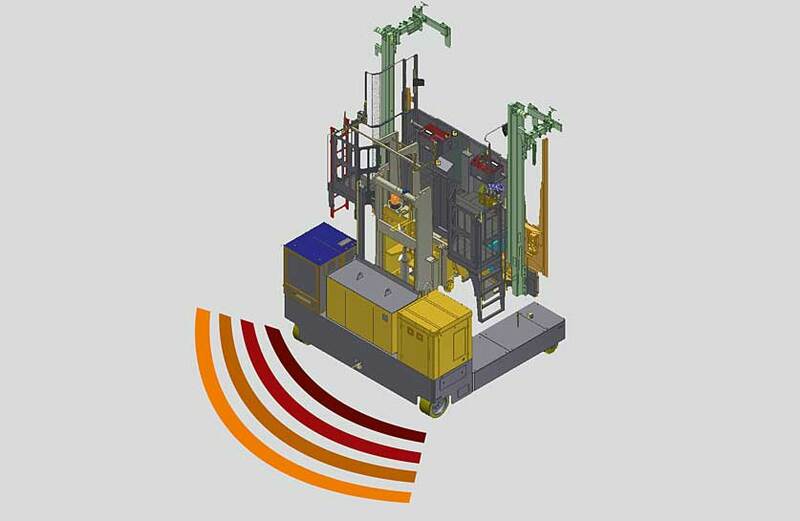 Additionally the glass handling sideloader performs order picking by collecting glass packs and placing them on dispatch stillages.